My dearest friend Lina’s 21st birthday falls on this coming Monday. I wanted to do something special for her and bake her something. Since we were going to meet up with Shiv at Sentosa tomorrow, I thought it’ll be best to bake something that’s easy to eat and also very yummy. The three of us can’t possibly finish an entire cake so muffins were the way to go. 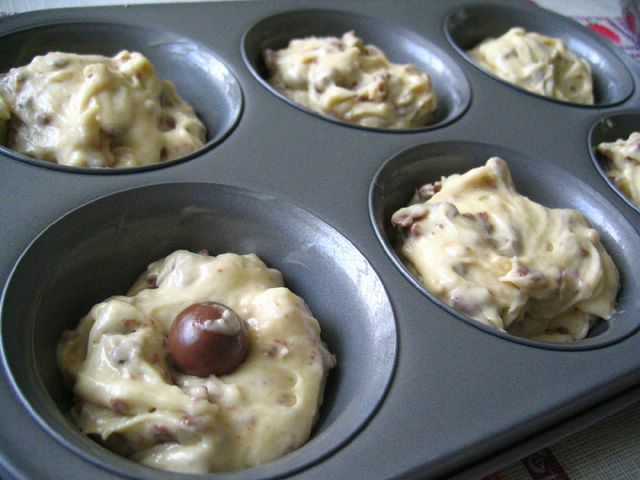 And it was also a perfect excuse to try out this Malteser Muffin recipe that Chin Ru of Sweet Oven posted a few days back. this pan is definitely much bigger than my old one. And can you see that I put a malteser in the centre? i did that for all the muffins. Wanted it to be a nice surprise when Lina and Shiv bites into these delicious muffins. But it’s probably also why my muffins didn’t have puffed up tops. On the other hand, these muffins tasted yummy. But I didn’t think it was chocolatey enough. i still prefer the dark choc muffins I made last week. But I guess it’s because maltesers aren’t really all chocolate… most of it is honeycomb. And actually I would have used the dark choc maltesers if they were still around… Too bad I couldn’t find anymore! Maybe next time. Ooo…I love Malteser. Have to try it on muffin. Maybe double up the Malteser or add extra choc… hehe. yum yum. Ms. baker, if you love maltesers, try Nigella’s Malteser cake, it’s malty as it is made from Horlicks. Lisa: yes yes, actually I made some chocolate frosting in the end and spread it on those muffins. Yum! boo_licious: Nigella’s Malteser cake? she has a recipe for that? cool! is it avail. online? 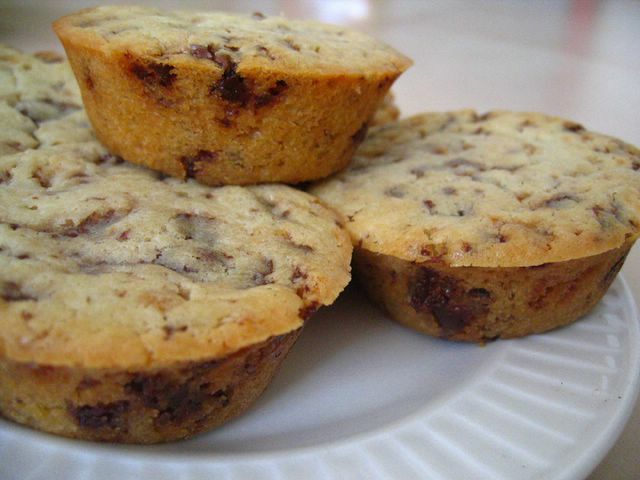 J: I think I’m really liking the versatility of muffins!